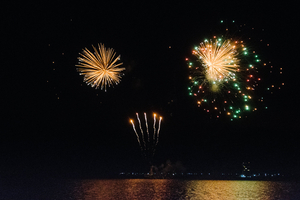 Celebrate the end of your special day lighting up the sky with a beautiful musical fireworks display. 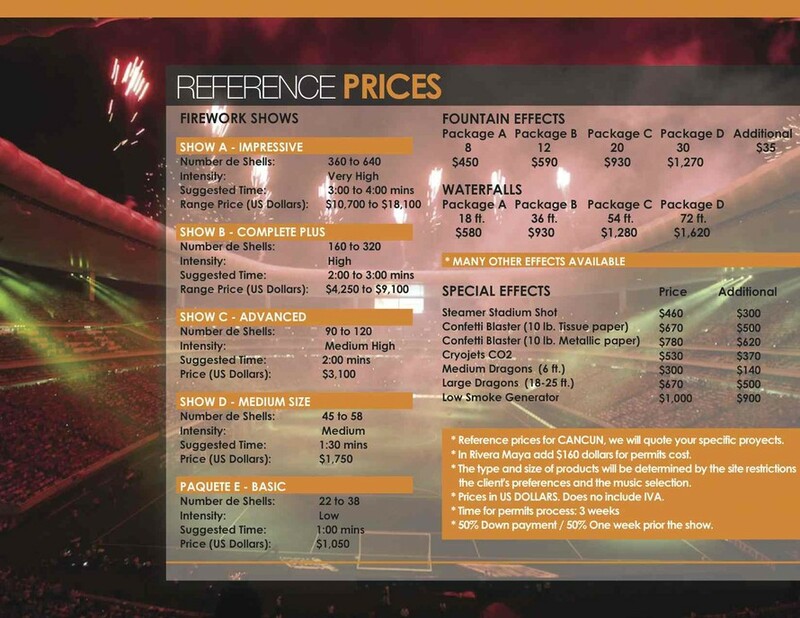 Special Events Mexico Pyrotech, has been providing professional fireworks displays throughout Mexico for over 20 years. 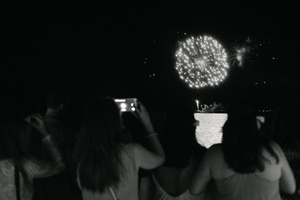 Our dedicated team of: Pirotecnia Cancun pyrotechnic shows specialists will ensure a hassle free WOW! factor at to your very special event. 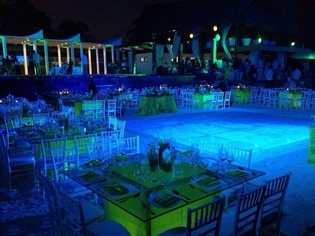 El Staff de Special Events Mexico y Pyrotech tienen una experiencia de mas de 20 años realizando eventos exitosos en todo Mexico, siendo especialistas en pirotecnia Cancun y Riviera Maya, asegurando para ti un servicio profesional y libre de preocupaciones,nuestro objetivo sera generar el factor WOW! en tu evento para hacerlo aun mas memorable y emotivo para ti y tus invitados . Special Events Mexico Pyrotech, has been providing professional wedding firework displays throughout Mexico for over 16 years. 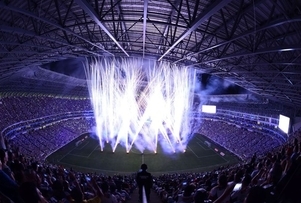 Our dedicated team of pyrotechnic specialists will ensure a hassle free WOW! factor at to your wedding day. Some of the most popular ways to use wedding sparklers to help give couples ideas for their wedding. Sendoff Lines – Using sparklers for your sendoff line is quickly becoming a hot trend in the wedding industry. Also known as the “grand exit” or “farewell line”, wedding sparklers are replacing items such as birdseed, rice, bubbles, and confetti in this timeless wedding tradition. 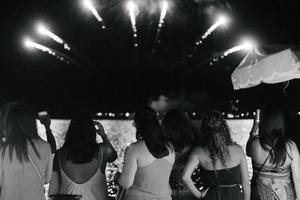 Memorable Photos – Adding sparklers to your most special moments can make the photos stand out in your scrapbook. Classic moments like the first kiss or first dance are beautifully enhanced with your guests using wedding sparklers in the background. 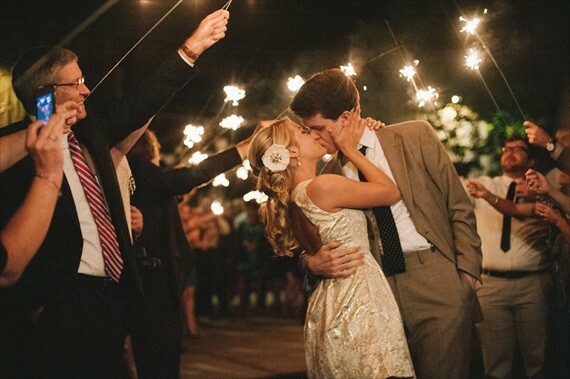 You can even use sparklers to write words or shapes in the air such as your wedding date, the word “love”, or hearts. 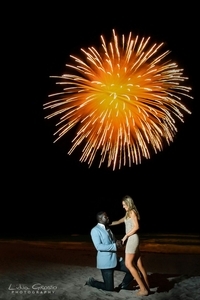 We will be glad to assist you for your Cancun Wedding fireworks or Riviera Maya, Playa del Carmen Mexico. Sendoff Lines – Using sparklers for your sendoff line and aerial wedding fireworks displays with music are quickly becoming a hot trend in the wedding industry. Also known as the “grand exit” or “farewell line”, wedding sparklers are replacing items such as birdseed, rice, bubbles, and confetti in this timeless wedding tradition. You can make a great last impression in style with a wedding sparkler send-off, one of the hottest summer outdoor wedding trends! Today we’re helping you plan a perfect wedding sparkler welcome or send-off with some wedding sparkler mistakes to avoid and you’ll have plenty of photos to enjoy. Wedding sparklers are a fun way to engage your guests and give your photographer an opportunity to capture some really fun, memorable shots. Plus, you get to steal the show – again! – one last time. –Not checking with your venue. Before you do anything, check with your venue to make sure they allow a wedding sparkler welcome or send off. 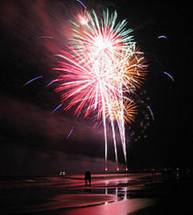 Some places do not allow sparklers because of insurance, safety, or hazards. Find out first . You’ll want to have an announcement (as in a sign) for a few different reasons. First, you’ll want as many guests as possible to be present at the sparkler welcome or send-off, so let them know what time it’s happening so they stick around. Also, make sure there’s a specific time. Timing is essential: in the summer, it gets darker much later, so keep that in mind. Also, make sure the time you select isn’t at the exact end time as agreed upon by the venue: you want to take your time (and you may have a few odds and ends to take care of before leaving). Or, order a custom handmade wedding sign + frame it. – Not enough outdoor space. 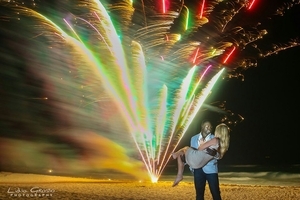 Where will your sparkler send-off take place? Make sure it’s in an open outdoor location away from anything potentially flammable or hazardous, for obvious reasons. Also, make sure it has enough room for guests to form two lines, through which you’ll walk down the center of together. Think of it like the starting line up of a pro basketball game, but a million times more fun than that. Ha! And, last but not least, an ideal location would be close to your getaway car for a seamless exit. You don’t need one sparkler per guest, simply because not everyone will participate your sparkler send-off. It happens! Some guests will leave early, others will be snapping photos in your booth, and some will simply have run to the bathroom and precisely the wrong moment. Order enough sparklers for about 75% of guests in attendance, and you should have more than enough. ome of the most popular ways to use wedding sparklers to help give couples ideas for their wedding. Centerpieces, Decorations, and Wedding Favors – Using sparklers as wedding favors is a great way to give your guests an interactive and fun gift that they can use on your special day. By using your wedding sparklers as part of your decorations in centerpieces or near the placemats, you can add a bit of flair that double nicely as wedding favors to save you money and create a more exciting experience for your guests. You can make a great last impression in style with a wedding sparkler send-off, one of the hottest summer outdoor wedding trends! Today we’re helping you plan a perfect wedding sparkler welcome or send-off with some wedding sparkler mistakes to avoid and you’ll have plenty of photos to enjoy! Wedding sparklers are a fun way to engage your guests and give your photographer an opportunity to capture some really fun, memorable shots. Plus, you get to steal the show – again! – one last time. Before you do anything, check with your venue to make sure they allow a wedding sparkler welcome or send off. 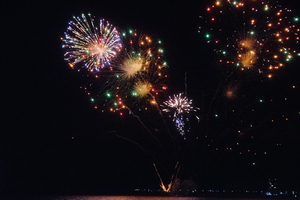 Some places do not allow sparklers because of insurance, safety, or hazards. Find out first – if it’s a go, move on to number two. Reserva hoy tu display de: pirotecnia Cancun pyrotechnic shows.